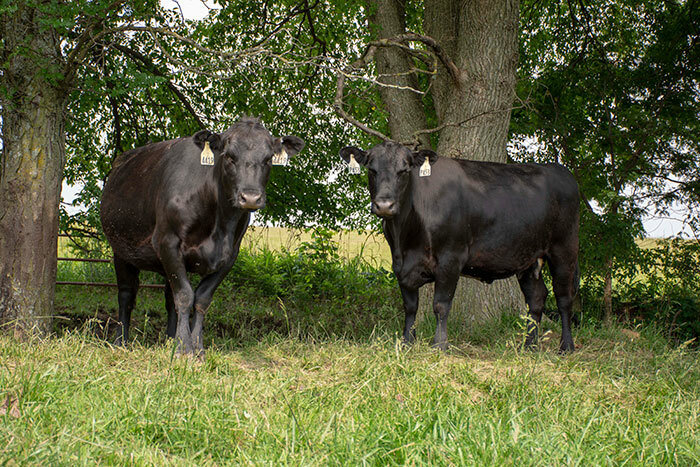 The return of green grass to pastures is an anticipated sight for many beef producers. It’s the sign they’ve been waiting for to move away from stored feedstuffs in drylots to letting cattle graze on vibrant, open pastures. While this is certainly a welcomed change for cow-calf operations, there is still reason for caution. The transition from a drylot to pasture generally aligns with the beginning of the breeding season. Due to this combination of events, pregnancy rates tend to decline thanks to the dramatic nutritional change that spring pastures bring, according to Eric Mousel, University of Minnesota Extension livestock educator based in Grand Rapids. Mousel says in a recent issue of the Midwest Forage Association’s Forage Focus that producers using A.I. rather than bull breeding realize this decline even more so. Drylots favor the estrous synch protocols that involve multiple trips through the chute and enhanced labor management required by A.I. If animals are moved to spring pastures shortly after breeding, this rapid change in nutrition has shown to negatively impact not only reproductive efficiency in cows and heifers but also their metabolism and body weight gains. The effect is especially pronounced with replacement heifers. Weight loss of over 3 pounds per day can be seen throughout the first week following introduction to pasture. As if this loss in weight wasn’t enough, weight gain can also be delayed for as long as 30 days after first turnout. “This weight loss could be caused by a multitude of factors,” Mousel explains. “Spring grass, as lush as it is, is mostly water so heifers might be achieving rumen fill but not their daily dry matter needs. Also, behavior changes could cause heifers to abandon grazing to walk the fence line instead. This combined stress sends a signal to abort the pregnancy, which wreaks havoc on pregnancy rates,” he adds. Research has further shown that a shift in diet around breeding has immediate impacts on embryo health and development. Heifers that receive inadequate amounts of energy in their diets following A.I. have poor-quality embryos with less development within the first six days following the change in diet. Studies also show heifers that don’t continue to gain weight following conception experience a 10 percent decline in pregnancy rate. Moreover, many females end up late-bred due to losing one or more pregnancies earlier in the breeding season from nutritional stress. Mousel recommends one approach of placing heifers on pasture before the start of the breeding season. This practice allows heifers to acclimate to their new surroundings and diet before being bred. For some farmers, however, this may not be practical due to the environment and timing of the breeding season. Another strategy is supplementing energy-dense feedstuffs once heifers are introduced to pasture. Studies show that supplementing 5 pounds of dried distillers grains per head for the first 30 days following the move to pasture prevents the decline in pregnancy rates seen otherwise. Mousel recognizes that this option could potentially raise feed costs, but states that the investment in the prevention of loss in reproductive performance is easily cost effective.